4FastPlumber, a Fredericksburg plumber, recently offered homeowners and business owners several basic tips on how to shop for new plumbing materials and fixtures. The company announced that these tips will help its customers avoid losing money in unscrupulous business deals when buying plumbing products. (Fredericksburg, VA, January 2018) Plumbing customers in Fredericksburg, VA will learn a thing or two about purchasing plumbing products from the website of local plumbing company 4FastPlumber. The regional service provider has posted an article on its website featuring several tips on how to acquire new plumbing fixtures and materials conveniently and cost-effectively. 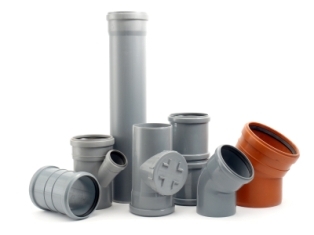 4FastPlumber , a plumbing company serving the Fredericksburg area, has published an article on the purchase of new plumbing products on its website. The company aims to educate its client base on how to source for the best quality plumbing materials and fixtures during a routine plumbing service call, a home remodeling project, or a full-scale home building and construction exercise. The article is featured in the Blog section on the website of 4FastPlumber. The company discusses three main factors that should be considered when purchasing new plumbing installations, fixtures, and materials.